Help our rescue help Lulu! She was hit by a car! by Furry Friends Foster and Rescue, Inc.
Lulu was hit by a car tonight. We received a call from her foster that Lulu, who just came into our rescue yesterday and is a very shy little girl, escaped her collar and ran out into the street. Her foster saw the car coming. She got out in the middle of the street in an effort to protect Lulu and stood in the middle of the street waving her arms. The car did not stop - it swerved past Sherri and Lulu was sideswiped by the rear tire. Sherri rushed Lulu to Central Hospital for Veterinary Medicine in North Haven. This ER hospital is excellent - and is also closest to her foster home. After a full evaluation, Lulu has a broken femur and will require surgery. She will be evaluated by the orthopedic surgeon tomorrow. Right now she is not a happy camper - but she is medicated and she is as ok as she can be. We will receive a separate estimate for the surgery tomorrow after she is seen by the orthopedic surgeon. ***THIS ESTIMATE IS ONLY FOR THE MEDICAL CARE CARE SHE HAS RECEIVED TONIGHT, AND WILL RECEIVE TOMORROW! *** They have provided two numbers - a low estimate and a high estimate. The low estimate is $992.20 and the high estimate is $2,072.63. Again, this is just for MEDICAL treatment and evaluation TONIGHT AND TOMORROW. The SURGICAL COSTS will be IN ADDITION to these costs!!! 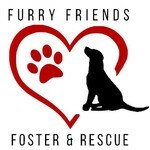 The estimates include a 20% given to us because we are a 501c3 approved rescue. WE DESPERATELY NEED YOUR HELP! EVERY donation will HELP US TO HELP LULU!